It's all systems go for Linggo ng Mt. Matutum (Mt. 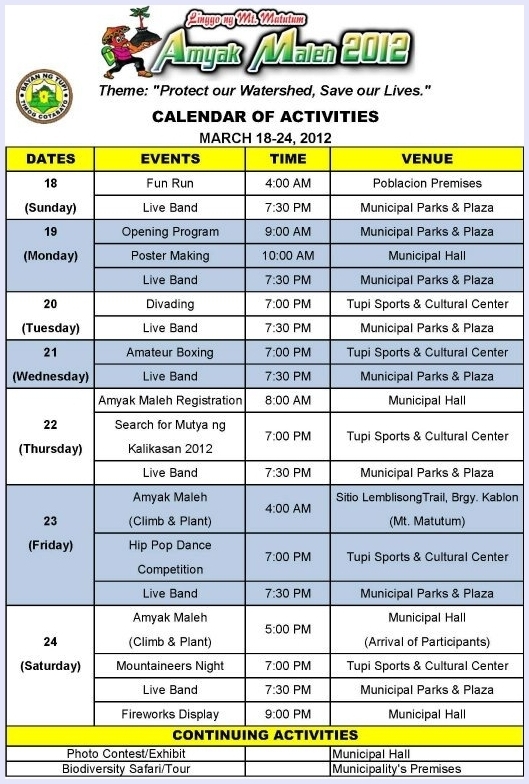 Matutum Week) and Amyak Maleh 2012 celebrations in Tupi, South Cotabato this coming March 18-24 in commemoration of the declaration of Mt. Matutum as protected landscape. This year's theme is, "Protect our Watershed, Save our Lives". Below is the schedule of activities for this week-long celebration.